The Checotah Chamber of Commerce has been proudly promoting the city of Checotah, OK since 1946. Ours is a place that teems with progress here and there, a fit place for citizens to live in comfort and in peace. Aside from being famous as the world’s capital for steer wrestling, there is more to know and to discover about our progressive town. As you navigate through our site, we think you’ll see why Checotah, OK is a good place for you, your family and your business. Receive informative and insightful feedback when you call Checotah Chamber of Commerce. Talk to us by dialing (918) 473-2070 on your phone. We’re all looking forward to assisting you. The Checotah Chamber of Commerce appreciates your time and interest in visiting our website dedicated to bringing the best of Checotah, OK to everyone. Whether you live here, sight-seeing, a current business owner or someone looking to start a new venture, our town has a place for you. All of us here at Checotah Chamber of Commerce are open to discuss any concerns you may have about Checotah, OK, whether it is for personal, leisure, research or a commercial purpose. Contact us at (918) 473-2070 today. 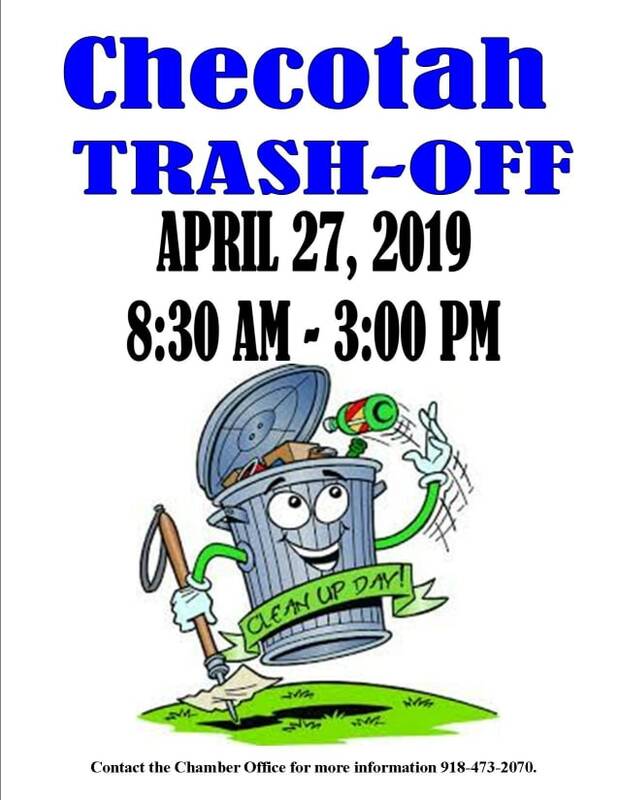 © Copyright 2019 Checotah Chamber of Commerce. All Rights Reserved. Site provided by GrowthZone - powered by ChamberMaster software.